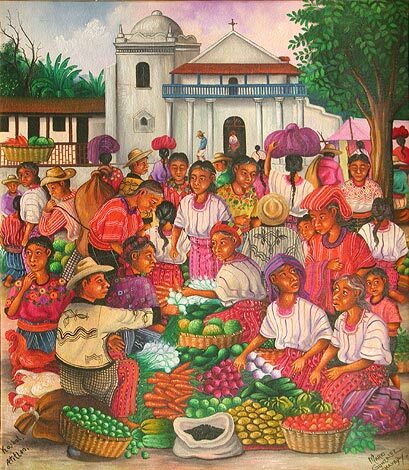 1600 Guerrero St. at 28th St.
Mario Gonzalez Chavajay struggled as an artist for 15 years emerging as the premier painter of tourist art. 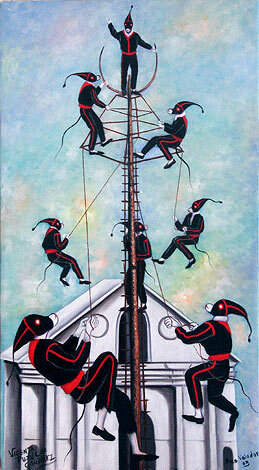 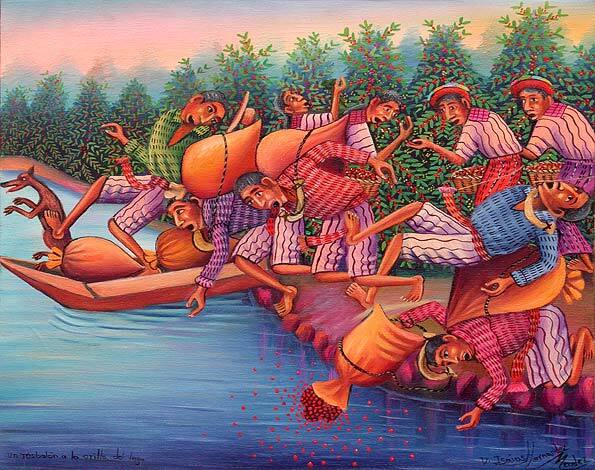 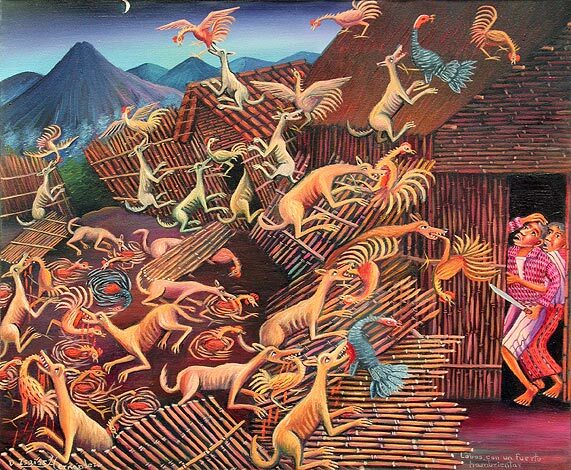 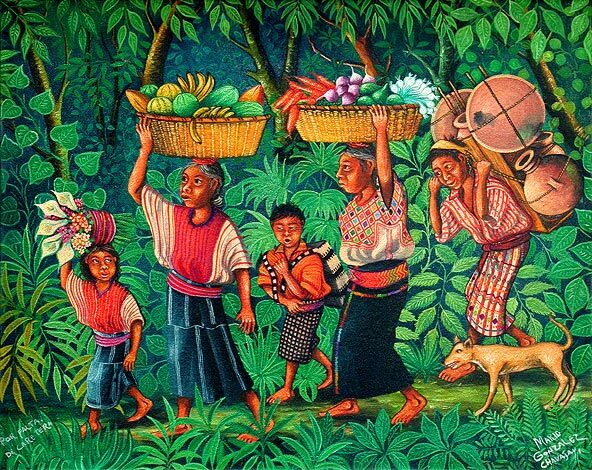 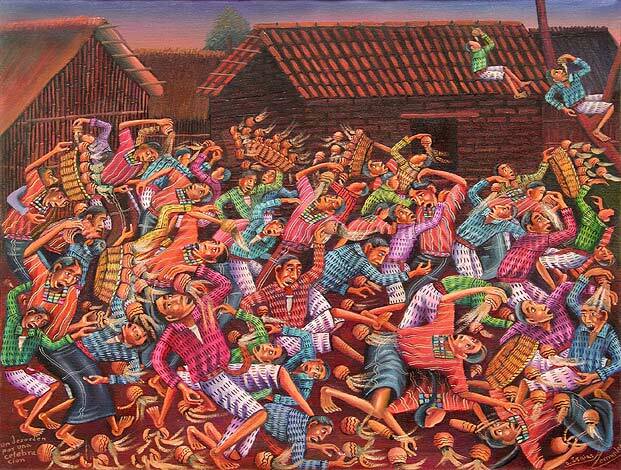 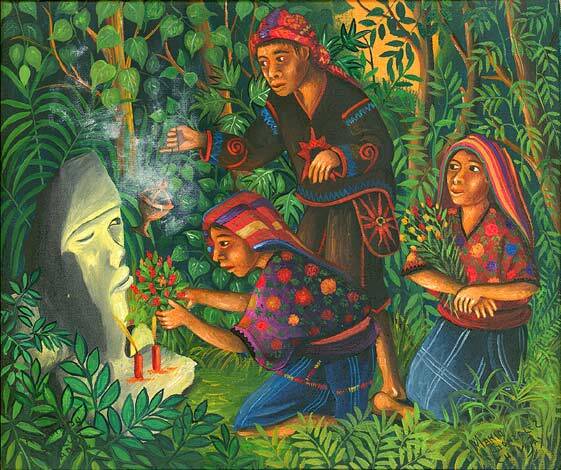 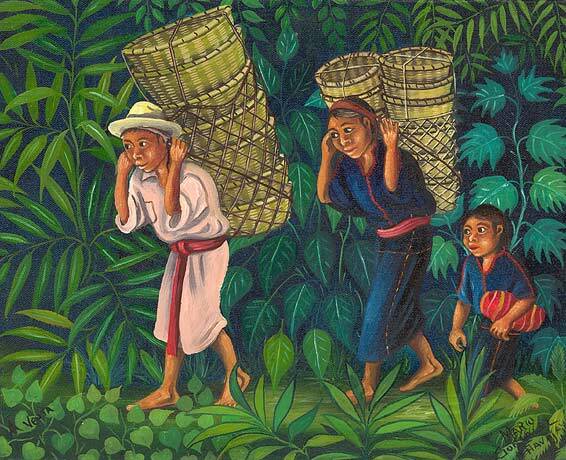 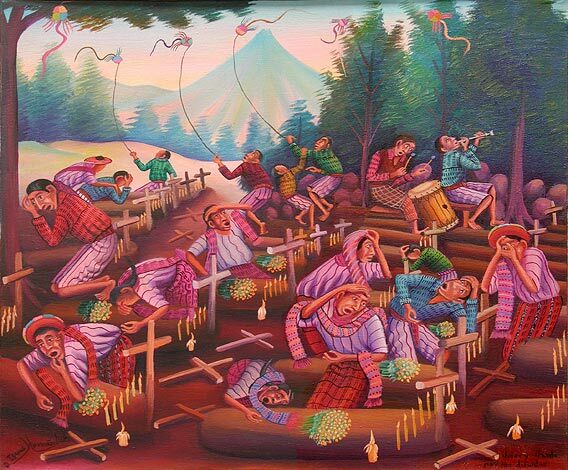 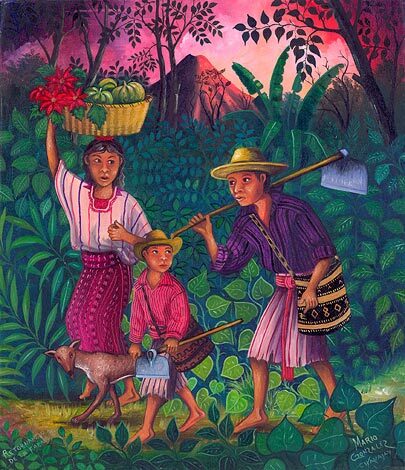 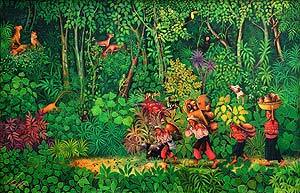 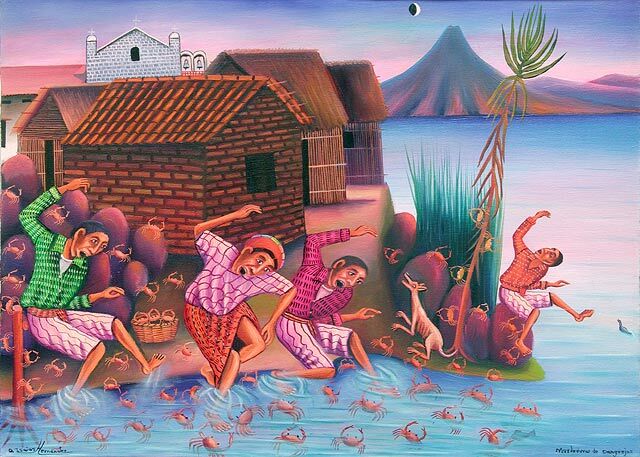 He renounced that to paint original works exclusively with Arte Maya Tz'utuhil, finding at the same time a unique style of painting with the general theme of "the Mayan in Nature". 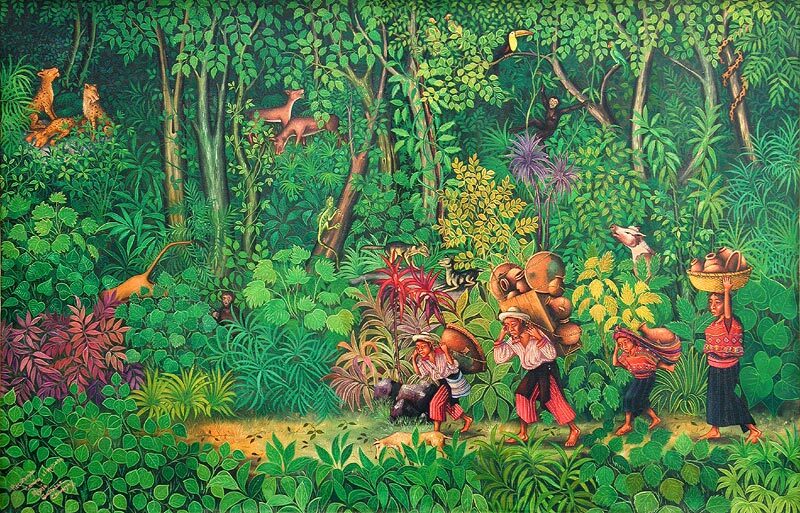 The painting at the top of this page is one of two major works he has recently done in his emerging style. 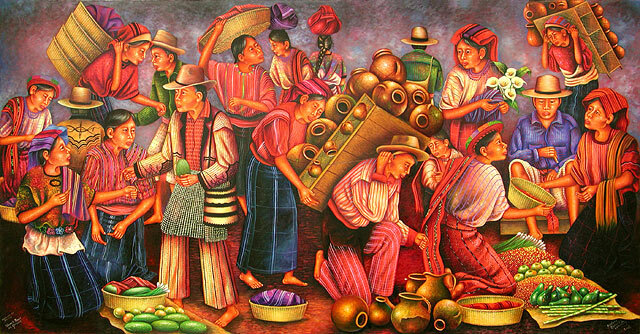 This exhibition marks the first time that Arte Maya paintings will concurrently be exhibited for sale on the web at the same time as the exhibition runs. 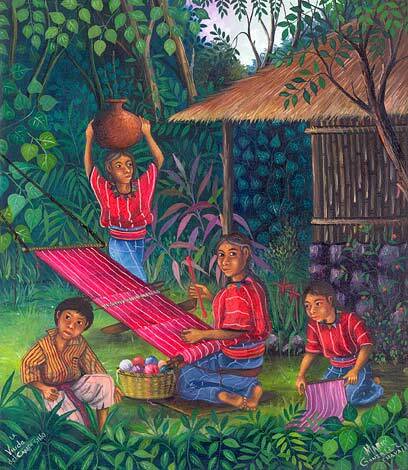 Diego Isaias Hernandez started out working in colored pencils on paper. 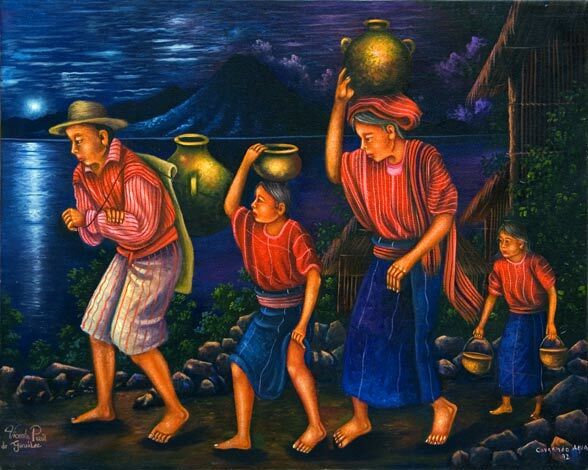 He graduated to sculpture but finally ended up becoming an oil painter. 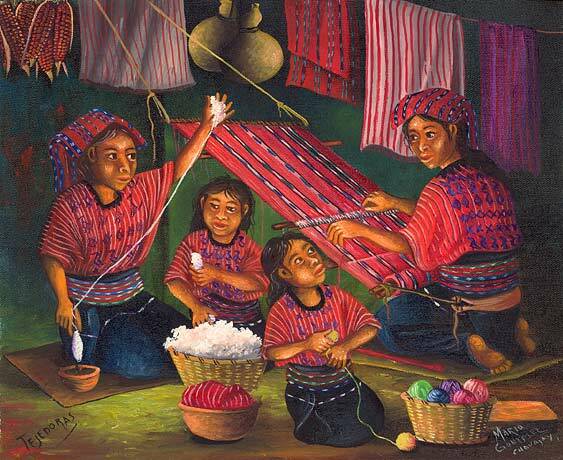 Wisely he decided to learn on his own with the result that he has developed an original style which still is uniquely Mayan. 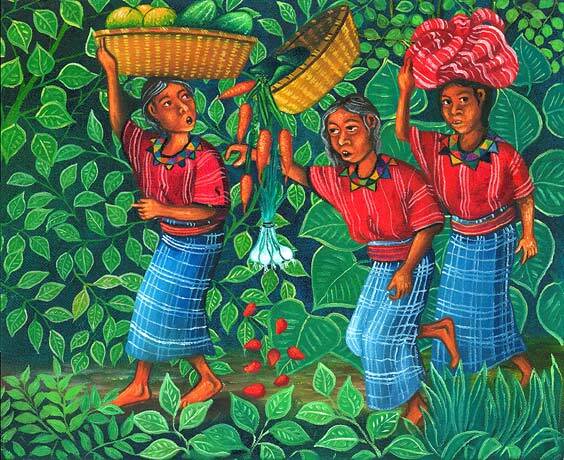 Among all of the Mayan painters he comes up with some of the most interesting titles for his paintings. 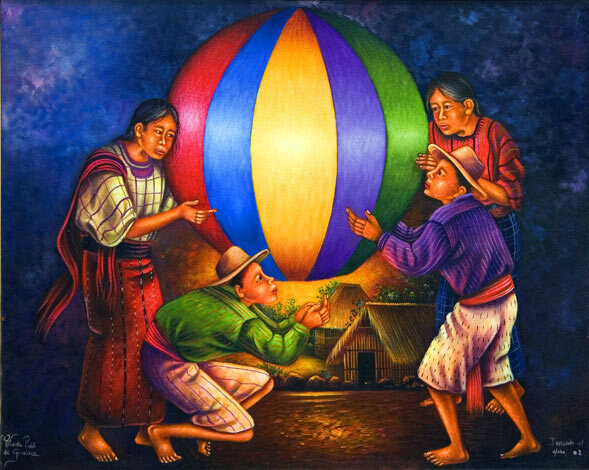 He won first prize in Guatemala's most prestigious art competition for a painting entitled "Mitch" about the hurricane which passed through Central America cause much destruction and loss of life. 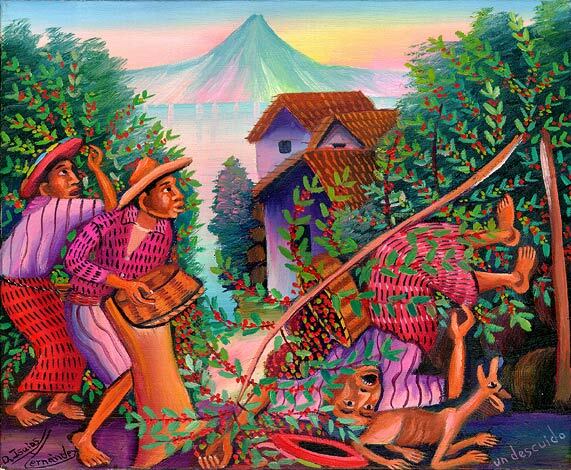 Vicenta Puzul de Gonzalez, the first Tz'utuhil woman to become a painter, learned from her renowned artist husband Mariano Gonzalez Chavajay. 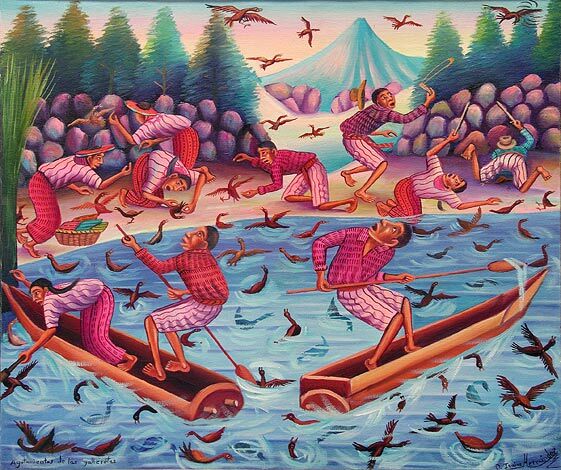 She learned quickly and her style of painting is virtually indistinguishable from that of her husband. 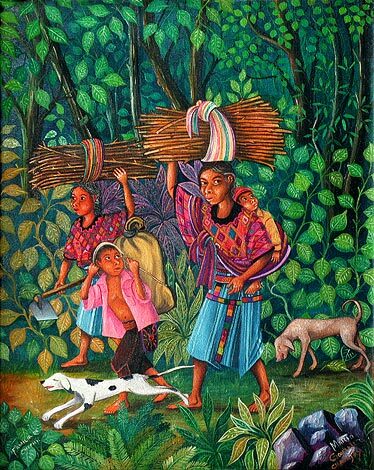 She has in the past anonymously helped her husband on his larger works, but with the encouragement and backing of her husband now has decided to paint on her own. 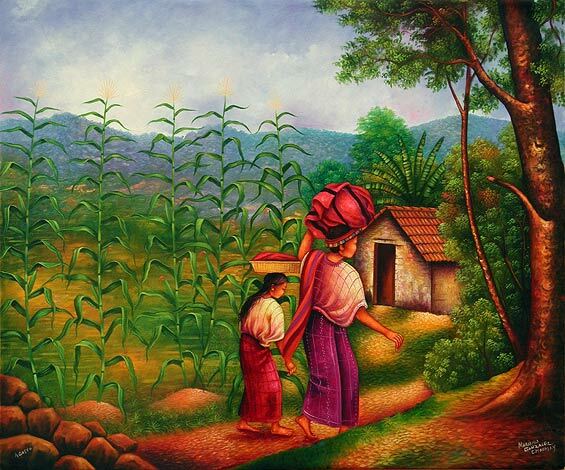 Vicenta has decided she wants to work exclusively with Arte Maya. 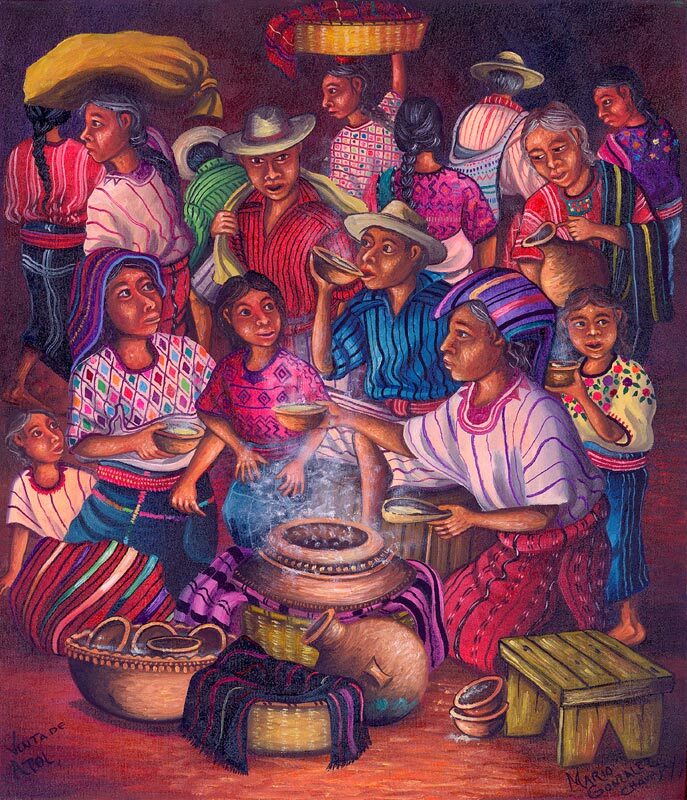 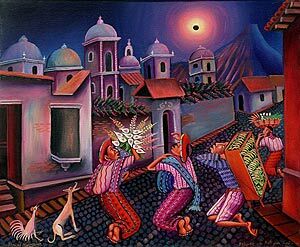 The painting Mercado de Noche is notable because although she has collaborated many times with her husband, this is the first time that they both have signed a painting they jointly painted.